Those ears sure looked like they were his own. 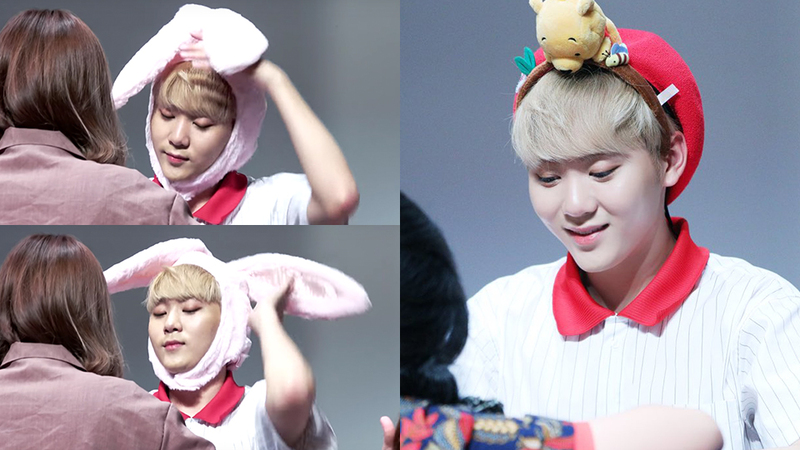 SEVENTEEN had a fan sign for the latest release of their 5th mini album 'You Make My Day' on August 4th and as usual like every other fan sign, fans would prepare all kinds of headgears for them and Seungkwan himself got a handful of them. However, one of it stood out on this day. 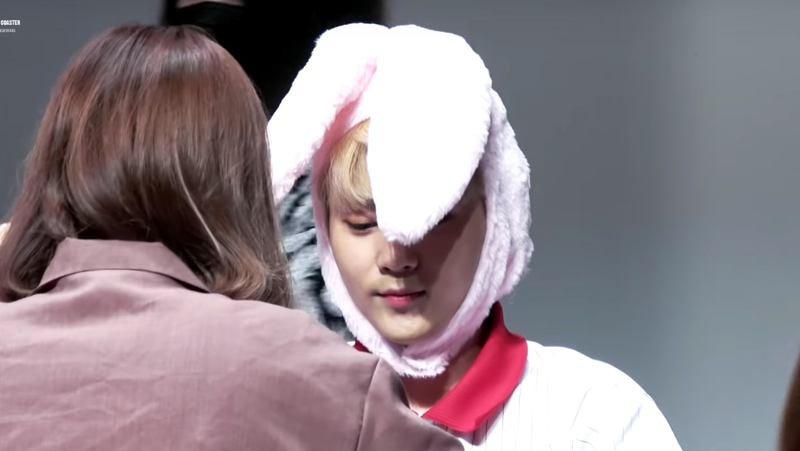 Seungkwan had a bunny headgear with him but the bunny ears were getting in his way, blocking his sight when he looked down. 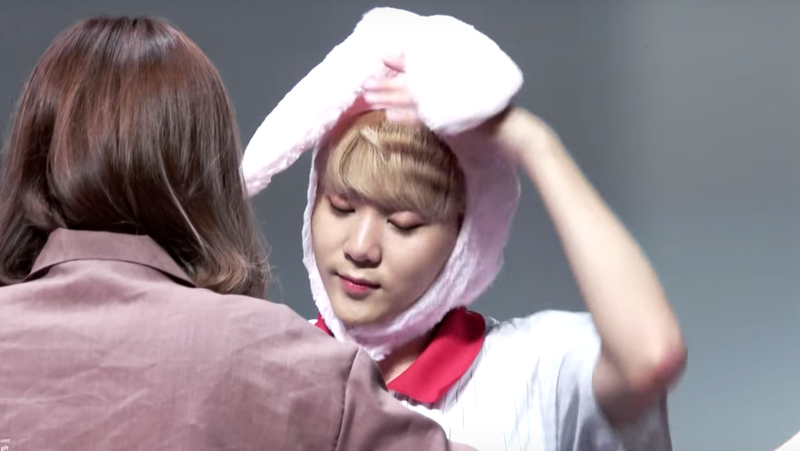 After trying to move it back up, Seungkwan naturally ended up using his arm to sweep it up as if it was his hair he was that was getting in his way. 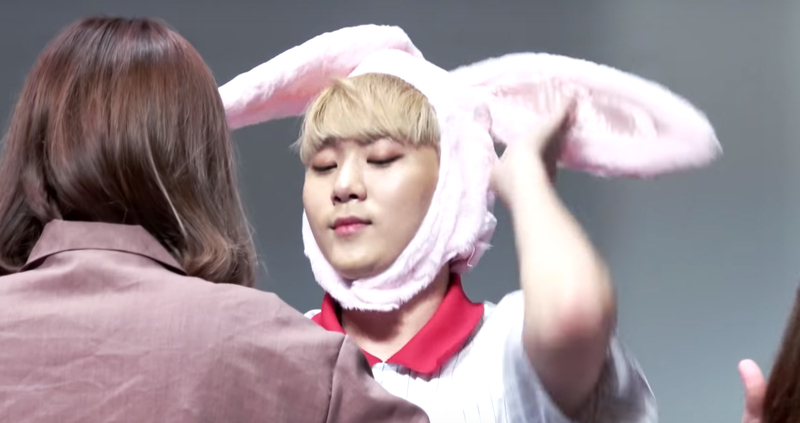 The very sight made countless of Carats' day. Watch the moment at the 1:04 mark in the video above!